Picking up dog poop isn’t the most fun task but can be made more pleasant with our bags. With 200 bags per roll, 30 Rolls per Case, these opaque, oxo-bio bags mean you can make the poop disappear in the most painless way possible. NEW PRICING! Our best bags at a ridiculously low rate of $189.00 per case (only $6.30 per roll of 200) and we still offer FREE delivery for regular service clients, in the Denver-Metro area. You won’t find a lower price anywhere! 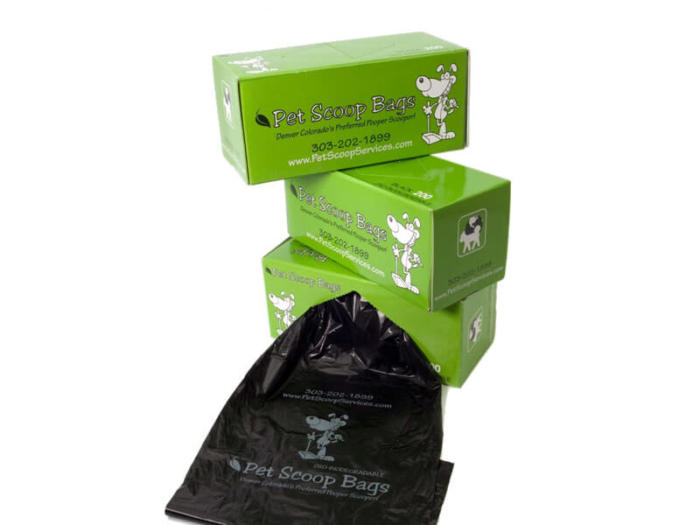 PET SCOOP BAGS are specifically designed to fit ALL pet waste stations that use rolls, GUARANTEED! Use these dog litter bags to pick up and remove dog or cat poop. Perfect for Community Properties, HOA’s, Apartment Complexes, Dog Parks, dog walks and traveling. 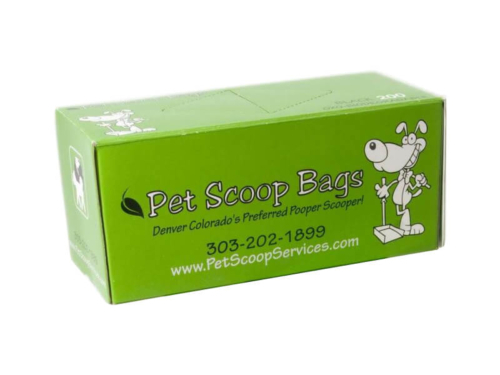 PET SCOOP BAGS come 200 per roll. Bags are black, opaque so you can’t see contents.